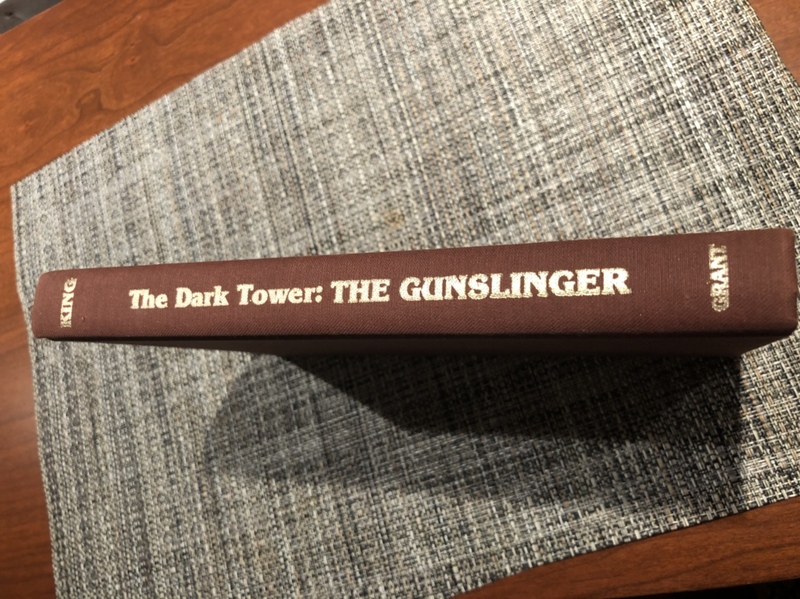 Seeking out a 1st edition Gunslinger was never a collecting goal of mine. So I can’t believe I actually own a copy now! Sweet! Congrats, Brian. A real collecting milestone. That's great Brian. I was very happy also when I got mine first ed also, Looks like a nice one as well. That proof is so tiny. Haha. It's a baby proof. I couldn’t resist this one when i saw it. My friends have called me vinnie since forever. 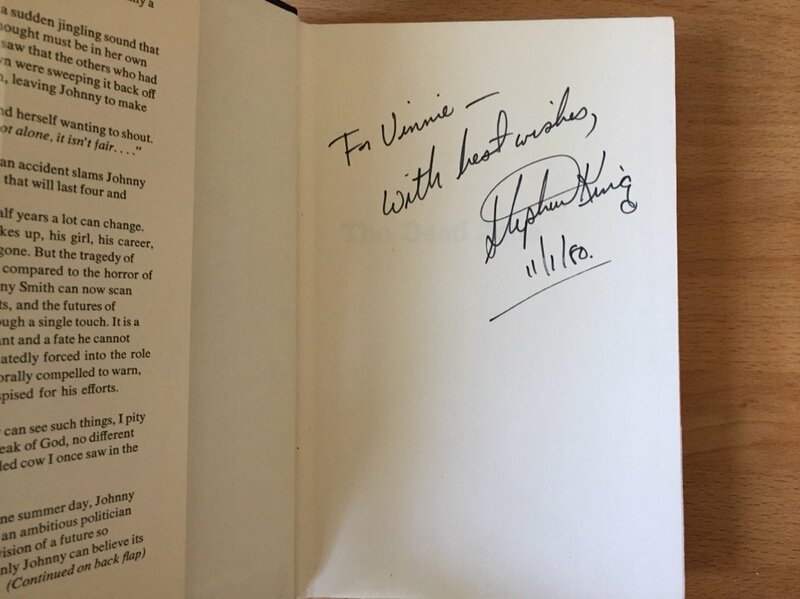 This is a Dead Zone inscribed at the World Fantasy Convention in 1980. 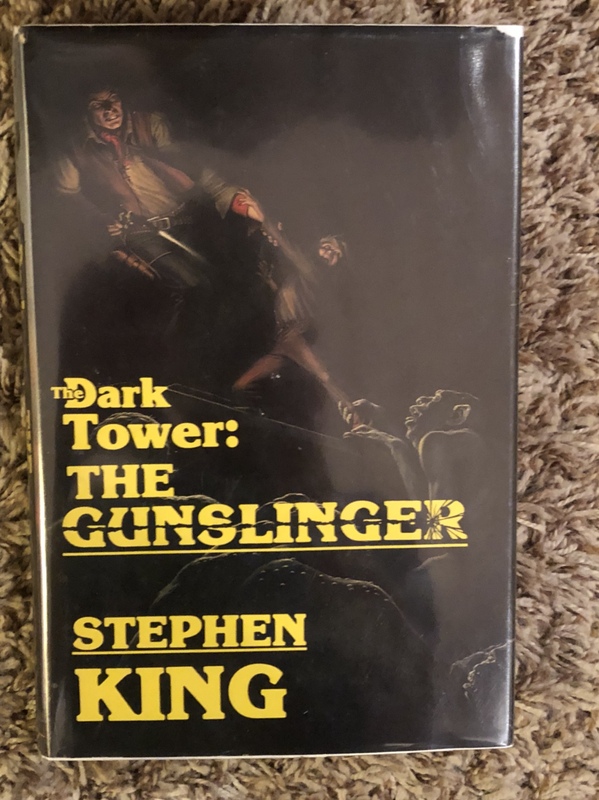 It’s exciting to me that King handled this book and then went home to continue work on the first draft of IT. Actually....it's the same size as all the Scribner proofs......you might not know this, but Ari is 11' tall. thank you Brians! It's my first signed book, it's quite a thrill. Congrats Vinnie! That’s cool man. So many great acquisitions over the last two pages.. congrats everyone..